My name is Joanna McCray and I grew up in Miami, Florida. I relocated to Columbia, South Carolina in 2003 to be closer to my grandchildren. In 2013, I was diagnosed with kidney disease due to complications associated with my blood pressure medications. I am currently on dialysis and will continue to be until I am able to have a kidney transplant. I am presently listed for transplantation at Duke University in Durham, North Carolina. I am also pursuing a transplant evaluation at the Medical University of South Carolina in Charleston. This new challenge has redirected my life on an unexpected path. Prior to the diagnosis, I was working full-time while pursuing my Bachelor’s Degree. Due to my illness, I became unable to work. Additionally, the diagnosis interrupted my studies, but it did not stop me from completing my degree. I eagerly look forward to pursuing every opportunity that awaits me once I receive the gift of a new kidney. Transplantation is life-saving, but financial draining. I have been prepared for significant out-of-pocket costs including travel expenses, lodging for my caregiver, post-transplant medications, and miscellaneous medically-related expenses. I am required to secure funding for such expenses prior to being cleared for the final procedure. I have been trying to save the funds, but it has proven to be very difficult. Thus, I am humbly asking for your assistance. To help with the financial burden of uninsured expenses, a fundraising campaign has been established in my honor with Help Hope Live, a trusted nonprofit organization that has been providing community-based fundraising guidance to help patients and families in need for more than 30 years. All donations are tax-deductible to the full extent allowed by law and are held by Help Hope Live in the South-Atlantic Transplant Fund in my honor. Donations are allocated by Help Hope Live based on financial need for medical expenses. Please consider making a donation. I want to thank you in advance for your prayers and donations. With your help and my faith in God, I know there is Hope in front of me. It’s official! Mom is recovering from having her dialysis port removed. Follow-up at Duke University on October 15th. We will keep everyone posted! As mentioned, the first follow-up appointment at Duke went well. We returned home yesterday early evening and mom is doing much better today. She has actively participated in tracking and taking her medications. She prepared her breakfast and lunch and it was great seeing her in the kitchen again. Shelly came by with food prepared for dinner because we do not want mom doing too much. It is beautiful to see my girls coming together to take care of Mom’s home needs. My son is there to keep Grandma talking and smiling. I am not sure if you know, but medication balancing will now become a lifetime battle to make sure her body does not reject the new kidney. I will tell you that we both were so excited about the prospects of a kidney that we may have missed the part about the daily commitment to stop kidney rejection, but like I said earlier, all relationships worth having are worth fighting for. As of today, Mom and her kidney seem to be doing well, communication within her body is improving, and she is receiving the right signals that this relationship is moving in the right direction. You know those odd early times of wondering does he or she like me? Am I saying the right things or am I saying too much? Those moments where you want to express how much someone means to you, but yet still afraid to commit totally because you just have no control of where things will go? The kidney is showing great signs and doing all the right things to show that this relationship can grow and be the long-term love affair we all want. We understand that this kidney is a blessing, but as we are celebrating, there is a family somewhere that is feeling something else. Mom is very aware of that fact and she is committed to doing all she can to make this relationship work. On another note, I thank everyone for the birthday wishes today, Mom and I have spent the day talking and reminiscing. It has been wonderful. I can say I got the best birthday gift of all this year, my mom got a kidney and a second chance at building a wonderful life. For those asking me what they can get me for my birthday, I ask that you forgo anything to me, but a small donation to helphopelive.org/campaign/8943 would be great. But if you are not in a position to do that, a small thank you to heavens above will suffice. Kidney Transplant Update 6 (Long): As it is said “after the darkest night always comes a brighter day”, and that is true with this update. 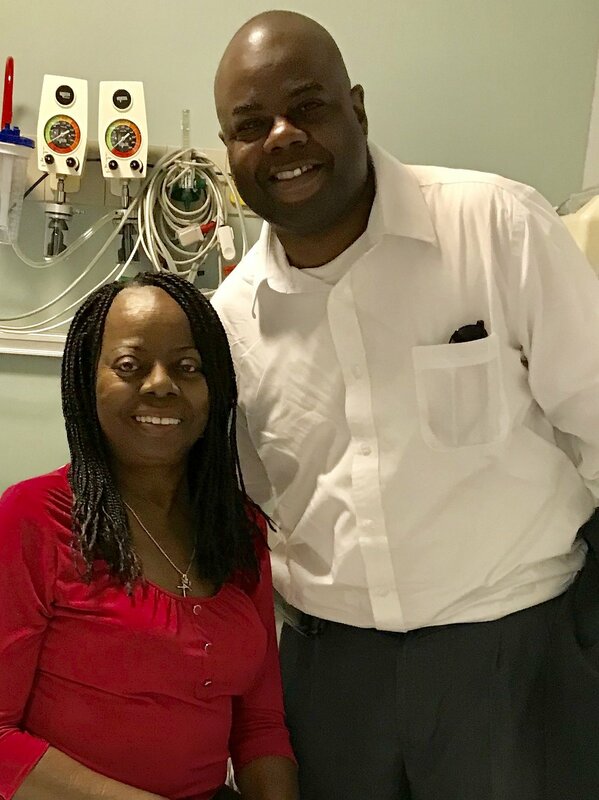 As you know mom had an unexpected second surgery, it was medically necessary as conservative measures did not resolve the issues she was experiencing with receiving a new kidney. Put it this way, mom and her new kidney are in the dating stages. They met on a blind-date Tuesday morning and they are getting to know each other to see if they want to continue seeing each other. As her caregiver, I am saying hey this your Mr. Right, but like all relationships, there are stages of development. That is where we are now. We want a forever love story, but relationships do have their challenges. The second surgery was successful, but it had post-op complications, so mom had to stay in the ICU. It really hit hard last night seeing her connected to all those monitors. I thank everyone (family and friends) for the kind words, prayers and uplifting me. This morning, mom was alert for the first time since her second surgery and sounded like herself. She said she was feeling “sooooo much better”. She had a smile on her face and she began talking randomly to the nursing staff, asking them all-kind of personal questions about their lives, and doing that stuff that drives me crazy. At that moment, I smiled because I will take her doing that on any given day over what she went through the last two days. After interviewing the nursing staff, she told me I could go and get some sleep. She put her “eyes on me” and now she needs to get more sleep, ha ha ha. She smiled that big smile and I told her I would. I am back at the hotel about to sleep for a few hours, but first I had to update everyone. She is getting better! Thanks for your prayers and support. www.helphopelive.org/campaign/8943. Kidney Transplant Update 4: Minor setback, and Mom has just returned to surgery. I say minor because the setback has no control over those who know the power. I ask for your continued prayers and I will update after I speak with the surgeon. No calls or text please, I appreciate your understanding. Mom’s body is trying to get acclimated to the medicines. Kidney Transplant update 3 (LONG): Mom is in a private room and sleeping a lot as the pain from surgery is setting in. The good news is that the kidney is performing well—Very Well. Additionally, she has been approved for solid foods. I am meeting with many different doctors and teams to learn what is now required post-transplant. *Note* Mom will not be able to receive physical visitors for several months (potentially 60-90 days). Germs are the enemy now in this early stage and will continue to be. Something as small as the common cold can cause her severe issues and potentially cause her body to reject the kidney. I know many people may want to visit her, but this is something that we cannot risk at this early stage. However, we will compile a list of essential things she may need, and we will coordinate efforts for me to get her any care packages. As an example, she cannot eat prepared foods because of food restrictions. My Mother’s life has been completely changed and we are in the beginning stages of learning how to navigate the changes. 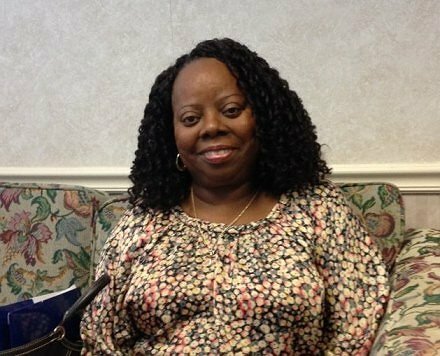 My Mother was an excellent student with living with dialysis and performing all the required task associated with her dialysis lifestyle. Now she has a new journey and it will take time to learn and navigate, but I am confident she will be as excellent. In the interim, when her strength is well, hugs by/visits by phone will be needed. Right now, we are learning, and it is an overwhelming amount of information. I thank you for your patience and understanding. We will have to travel back to Duke (NC) weekly for the next few months. Right now, her strength is returning, but her body and her mind has to connect with the fact that she has a new organ and that can only take time. Due to the abundance of meetings tomorrow, I will most likely update again on Saturday. Right now, her immediate need is her fundraiser Helphopelive.com/campaign/8943. 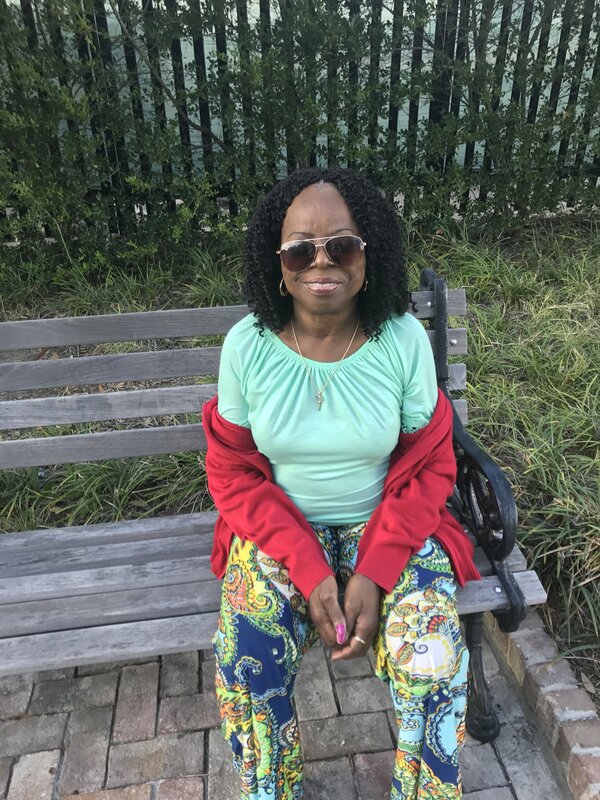 This fund will assist with the enormous cost associated with her medication and travel needs back and forth to Duke University. I thank everyone for your prayers and support. This is second half of the game and if we continue the pace, I am sure that victory will be on our side. Praising God and I am happy to announce that Joanna is having her Kidney transplant (Right now). 6/11/18. Went to Duke and had the annual appointment. All went well. Still seeking a donor and fundraising help. Preparing for our upcoming trip to Duke University Medical Center on Thursday. A kidney transplant as any transplant is very difficult and to use the words of my dear friend Julia A. Nelson, who has walked this same walk, “antibodies can be tricky.” With that being said, the transplant has been called off. The risk of rejection is too high. I know in my heart that the doctors made the right decision, but we are both feeling somewhat numb right now. However, we will keep the faith and will be encouraged as she remains at the top of the transplant list. I love you all for the prayers, support, shares, thoughts, and everything. What a mighty team we have around us. This is not over, just delayed a brief and I mean brief while longer. Love you all dearly. It was four years ago today when my Mom Joanna McCray started on a new journey that has changed her life. This was the day she started her first dialysis treatment. 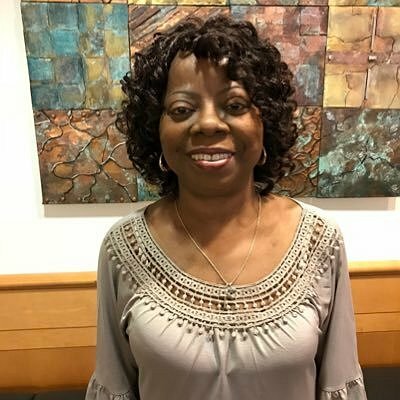 My mother suffers from Kidney failure and is on the transplant list at Duke University and we are trying now for MUSC -Charleston. This has been a very difficult journey for us both. As her only son, it has been trying at times to be her only caregiver while seeing her go through so much. I was raised by her mother, my grandmother, and so my mother and I kind of came-up as siblings. However, this journey has brought us both closer together. The trips back and forth to doctor appointments have changed the dynamics of our relationship to being truly a mother and son. I am so PROUD of her for doing everything right to maintain her health. Even her dialysis center says she is a model patient and uses her story as an example to others. I know she will be blessed soon with a kidney donor as my insides smile now seeing her walk this journey with full determination to be the best she can be. Love ya Mom, you are THE BEST! Please say a prayer. We may possibly have a living donor. Mom in Charleston celebrating after the great appointment at the MUSC Transplant Center. Caught her saying a prayer and thanking God for her blessings. At MUSC with Mom for intake with their transplant program. Things are going GREAT. I feel this may be the right place and this is definitely the right time. May God continue to bless and strengthen you on your journey. Joanna, I'm sending prayers from all my family. Continue to recover for you are in Gods hands. Love you much.